The one thing that you might not have known is that there are always a free extension option on the deadline of filing your tax return. However, then you need to have a very good reason on why you are late with your tax. You should contact them as soon as possible and make sure that you have a valid reason on why your return forms are late. If you just have forgotten, then you might have a problem because this isn’t a legit reason why you are late with your return files. Even, if you are late, you should still send your tax return back as soon as possible. You might be paying a small penalty that can come off your tax refund, but this is a minor problem. 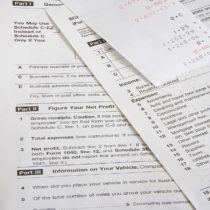 The longer you are going to wait before you are sending your tax forms, the more problems you are going to have. Many people are leaving it rather than sending it too late. But, this will let you get into trouble next year, when you need to file taxes again. If you didn’t send your files, because you can’t pay the tax money that you owe, you can always make an arrangement. But, don’t just leave the tax forms without sending it to the IRS. There is always the possibility that you are going to pay a penalty because you are late with your tax return. This isn’t the end of the world.